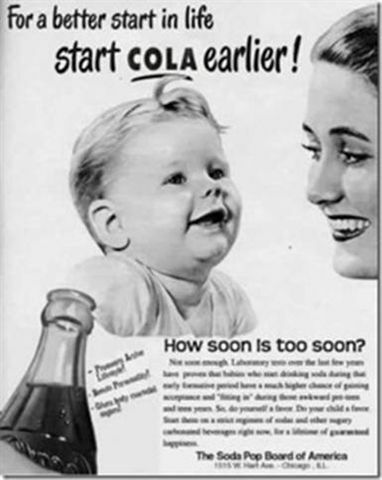 No physician in his right senses would prescribe for someone he has never met, whose medical history he does not know, a substance which is intended to create bodily change, with the advice: ‘Take as much as you like, but you will take it for the rest of your life because some people say that it can reduce tooth decay in children’. before people knew that some people can be allergic to minute amounts of substances. If we extrapolate from the Dutch study, we can estimate that between 40,000 and 200,000 New Zealanders suffer from some degree of fluoride hypersensitivity. In many, the symptoms will be minor and people will accept them as every day occurrences. However, we know of cases which involve progressive chronic fatigue and other debilitating symptoms. We encourage anyone who lives in a fluoridated area and suffers the following symptoms on an on going basis to seek medical advice from a doctor who will take the possibility of fluoride poisoning seriously. It must be remembered that belief in the absolute safety of 1ppm fluoride, without considering the total daily intake from all sources as required by the WHO, is part of medical and dental training, hence only a doctor who has researched this issue him or herself will be aware of danger. Alternatively, try avoiding fluoridated water and all other fluoridated products and see if symptoms diminish. It should be noted though, that after years of exposure this may not be immediate.. If you cannot find a doctor who will take fluoride poisoning seriously, please contact us. f you would like more information on how to obtain Fluoride Free Water click here. USA, Canada, Australia, New Zealand. The following was presented to the Commission of Inquiry into Fluoridation, 1956. This was a small sample of typical cases. As above, symptoms appeared as soon as Hastings was fluoridated, disappearing when sufferers went away on holiday or business, and returning when they resumed drinking fluoridated Hastings water. One resident took the matter to court but represented himself and produced no medical corroboration. Woman: July 1953. Suffered extreme nausea, mental and physical inertia, lost the use of her limbs, and suffered impaired eyesight. Upon continuing to drink the water she began vomiting. Woman: bad skin condition, and slowly progressing ill health. Male, until then in good health, form 1953 to 1955: Thirst, itchy throat, dry mouth, brittleness of finger and toe nails, cramps in extremities, dropping of small objects, skin problems, impaired mental energy, diminution of sight, numbness in fingers. Wife also suffered from a sore throat, sore eyes, undue thirst, minor cramps, dropping of small objects. Hamilton Mrs N, reports as at September 2003, that she was “crippled up with arthritis” when living in fluoridated Hamilton, which disappeared upon moving to unfluoridated Tauranga. Upon returning to Hamilton the arthritis returned, but disappeared again upon use of fluoride-free water. (She writes “If we want sugar in our tea we have to put it in – [should be the] same for fluoride). See our Testimonial page for many more cases of New Zealanders who have become aware that it was fluoridated water that was causing their health problems. 1951 Bay City Michigan was fluoridated, unknown to Mrs SS, age 40. The cramps occurred after drinking water in the morning. Highland Park Michigan (Fluoridated 1952). There were many cases in this city. The following is typical. 1954. Woman 35. (Grew up in high fluoride part of China, causing dental fluorosis.) Symptoms in Highland Park: constant nausea, frequent vomiting and stomach pains, diarrhoea, lower back pains. Had passed blood from kidneys and uterus. Eyesight gradually deteriorated. (scotomata = moving spots) skin haemorrage and progressive weight loss. Constant and at times unbearable pain in her head. Loss of muscular power in hands and arms, dropping objects such s potatoes when peeling. Often lost control of her legs. Lost mental concentration, became drowsy, incoherent, forgetful. The more water she drank the thirstier she became. Experts in the varying conditions related to these symptoms were baffled, yet not one suggested the conditions were imaginary. There was no significant bone thickening which one would expect from fluorosis. The patient drank fluoridated water until tests were complete, then changed to unfluoridated Detroit water. Within 2 days stomach and headaches problems improved appreciably. No medication was given at any time. Avoiding fluoridated water and high fluoride foods like fish and tea, the abdominal pain and vomiting disappeared within 1 week. Within 2-3 weeks her mental faculties began to return. Headache and eye disturbances cleared. The muscular weakness suddenly disappeared. Within 4 weeks she gained 5 lb in weight. Injections of fluoridated and unfluoridated water on a single blind basis proved fluoride was the cause. A 1 mg (recommended daily) dose was enough to cause these symptoms. Without treatment the prognosis was death within a few months. All Highland park cases showed a disturbance of the calcium-phosphorus metabolism even though individual symptoms varied markedly. November 1954. Dr George Waldbott examined 30 people with suspected fluoride allergy. 9 showed exactly the same symptoms as the Highland Park case. Some had experienced relief when away from Saginaw for a week or two. All noted gradual improvement when fluoridated water was eliminated. Some had bladder and bowel symptoms which were subsequently proven to be related to fluoride. Case reported in Confinia Neurologica Vol 17 1957. WJ, 12, was one of the 30 people. Suffered convulsions for 2-3 years with increasing severity in the previous months. These gradually subsided with discontinuation of fluoridated water. Teeth were hypoplastic – which occurs in the advanced stages of fluoride poisoning. Doctors insisted that the seizures were epilepsy, conducted surgery on the brain to find a tumour, but found none. Subsequent urine tests showed 4.4 mg fluoride excretion per day: the boy’s bones had stored massive amounts which was being released into the blood, prolonging the symptoms. Eventually it reduced to zero. Doctors openly criticised GW for even thinking fluoride could be responsible: they had all been assured from their readings that fluoride was perfectly safe. Mrs HM, 49, showed the same symptoms as the Highland Park cases. As a child she lived in a high fluoride area of Canada. Her legs would often collapse under her; she suffered constant gastric distress and muscular pains. Persistent dryness in her mouth led to frequent mouth ulcers, which her physicians could not explain. In October 1953 when she learned Saginaw water was fluoridated, she used distilled water. The symptoms disappeared completely within 4-6 weeks. Mr RM, 42, salesman. Similar symptoms as above. These invariably improved when he went away on sales trips. His condition had progressed such that he could not grip the steering wheel of his car and was about to give up work. He recovered completely on eliminating Saginaw’s fluoridated water. Mrs TDC,30, Tecunseh, Michigan. Constant arthritic pain in lower spine, back became curved and immobilised. Mental deterioration over recent months, stomach and bowel cramps, colitis, pelvic haemorrages, numbness in arms, migraine-like headaches. Four eye specialists also noted retinitis – the beginning of blindness. And beginnings of hyperparathyroidism – a disease linked with the calcium-phosphorus metabolism. Mrs C completely recovered after 6 weeks on fluoride-free water. Charlottesville, Virginia, ceased fluoridation in October 1955. Mr X’s symptoms rapidly disappeared. He had suffered from bladder trouble, diagnosed incorrectly as being caused by an enlarged prostate, which was removed without benefit. His legs frequently collapsed suddenly while walking. His personality began to change: became depressed, lost memory, energy diminished, became bedridden. Miss AMA Philadelphia. When she suffered ill effects from drinking fluoridated water the City Health Commissioner refused to investigate her condition stating “Fluoridation has been proven harmless” Her family could barely afford food because part of their welfare allowance must be spent on obtaining fluoride-free water. Miss MM, Evanston, Illinois, suffered agony upon drinking its fluoridated water, returning to good health upon using distilled water. Student, 19, Ann Arbor, Michigan. Suffered retinitis soon after drinking Ann Arbor’s fluoridated water. He refused to believe fluoride could be the cause due to his reading (of proponent material), and would not be tested, though no other cause could be found. Mrs WEA, Richmond, Virginia. Developed symptoms repeatedly on trips to fluoridated Washington, yet had not heard of fluoridation. Always within a few days of her return to Richmond her symptoms began to clear. Both cities were fluoridated. After recovery, she experienced recurrence upon using fluoride toothpaste. Another time the tranquiliser trifluoroperizine (fluoride based) precipitated the same symptoms. After recovery she was given an intravenous daily-equivalent dose. She did not know the nature of the test. Within 30 minutes she developed excruciating abdominal pain, diarrhoea, allergic nasal congestion (same as fluoridated water) Subsequent double-blind tests were conducted by her own physician Dr DCM of Memphis Tennessee with the same results. Bloomfield Hills, Detroit suburb. natural fluoride 0.8 ppm. MR RR, 43, exhibiting the beginnings of rheumatoid arthritis. Eliminated 10 times as much fluoride as normal. Simultaneously eliminated an excess of calcium. Upon use of low fluoride water, the calcium loss and arthritis subsided with the lowering rate of urine-fluoride levels. Upon recovery the same results were reproduced by double blind testing. 11 Oct 1956. Dr George Waldbott was consulted by Mrs B of Racine, Wisconsin. Her husband 35 was dying from unknown causes. Many organs involved, especially stomach bowels and neuromuscular system. Died 22 January 1957. Although George Waldbott did not consider fluoride the cause of death per se, the man had been drinking 3 mg/day total including 1ppm water. Autopsy showed amyloidosis, lung tumour, diseased parathyroids and kidneys. There had been very little fluoride in the urine sample though extremely high calcium. Almost all the fluoride was being stored in the body: the lung tumour contained 29ppm fluoride (normally less than 1ppm). Very little was in the bones, only 120ppm whereas there is usually at least 300 times more than in the organs. Mrs X, 56, Bethseda. Developed severe abdominal cramps and diarrhoea within 2 days of fluoridation in 1952. (Washington DC) Increasing eye disturbances and occasional blurred vision. Persisted with periodic aggravation and temporary improvement until April 1959 when admitted to NIH. 4 eye specialists could find no cause. Condition became worse when she drank water unaccompanied by food. The NIH gave her, unknown to the patient, unfluoridated water for a week, then fluoridated water again. No difference was noted. The urine fluoride output averaged 0.54 mg in first week and 3.82 in the second. There had not been enough time for the accumulated fluoride to be removed from the system before the second week .Incompetence or deliberate cover-up? Why suppress the file. Mrs L and her daughter previously lived in New York. They habitually spent winter in Miami Florida. In 1954 they both became ill with serious stomach and bowel disorders on such a visit, returning to good health upon early return to New York. The same occurred in 1955. In 1956 Dr L proved that the disease was caused by Miami’s fluoridated water, at a point where Mrs L was about to support fluoridation of New York City. 22 yr old army soldier. Admitted to San Antonio hospital with a sty. Routine X-rays showed extensive calcium deposits in bones (8000ppm fluoride) and joints. He had had one kidney damaged when young but must have been OK to be admitted to the army. Lived in Spur with water naturally at 1.2ppm, misquoted as 12 ppm by GJ Cox of the PHS when discrediting fluoride as the cause of his death. Autopsy showed both kidneys had disintegrated. See the San Antonio Express News (26 July 2002) A poor family with children hypersensitive to fluoride was eventually provided with a filter free of charge, while other poor inhabitants were not. The three children were all medically diagnosed with fluoride allergy, exhibiting at a daily intake of 1.5 mg fluoride. (This was before fluoridation). Their doctor prescribed fluoride-free water once the supply was fluoridated ,as it was about to be. The mother did not suffer the allergy. The family could not afford a filter. Eventually, after representations to the Mayor, one was provided. Symptoms occurring in person not knowing they were drinking fluoridated water. This city was secretly fluoridated on 11 September 1962 – only councillors knew. The event was publicised 2 weeks later. This precludes psychosomatic causes of the symptoms. Mrs MH, nurse, 57, and Mrs EK, 38. They habitually drank 1-2 glasses of water before breakfast. They began experiencing abdominal cramps and vomiting immediately after drinking this following the secret introduction of fluoride. During the course of the day they developed headaches, pains in the lower spine, and numbness in arms and legs, which continued for several weeks. Mrs H’s physician, Dr FS, could find no cause and recommended cessation of drinking fluoridated water. Both recovered promptly. Dr S requested that his diagnosis not be disclosed as it would jeopardise his position. Mr DH, 59, Mrs ICW 57. Suffered the same as above, plus diminution of mental acuity: they became forgetful and could not concentrate. Other inhabitants experienced mouth ulcers and haemorrhaging. In all cases symptoms disappeared when unfluoridated water was used for cooking. CD, 13, school girl. Developed increasingly severe migraine-like headaches from mid September. She also developed pain and numbness in the legs, and deterioration in mental alertness. She became too ill to attend school. A consultant neurologist ruled out a brain tumour. On the advice of another patient with similar symptoms, she stopped drinking fluoridated water, with immediate improvement. On Mondays and Thursdays she had recurrences when drinking Windsor water from the school tap after gym class. Taking her own water to school avoided any further problems. As proof of the diagnosis the symptoms were later reproduced by a local physician using double blind testing. Mrs CAB, 69, had a severe skin eruption on hands and face immediately following fluoridation. This disappeared when she stopped drinking fluoridated water, promptly recurring when she resumed fluoridated water 2 weeks later. Miss L. developed progressive generalised arthritis soon after fluoridation. She refused to believe fluoride could be the cause on the advice of her doctor, who administered cortisone without improvement, but with serious side effects. In despair she stopped drinking fluoridated water and gradually improved. Mr FLP, former university professor, 61, Gainesville Florida, suffered excruciating head pains, arthritis in lower spine, and visual disturbances. These disappeared upon moving to unfluoridated Detroit. (0.1ppm) 5 years later a brief visit to Gainesville caused recurrence. He moved back to Gainesville upon full recovery, using distilled water. Within 2 days of attaching a “fluoride filter” to his tap his illness recurred and gradually increased in severity. Analysis of the filtered water showed a fluoride content ranging from 1.2 to 1.8 ppm. Mr WBD was found dead in bed 2 Oct 1962. He had been free of fluoride poisoning symptoms since using distilled water for drinking and cooking since 1959, on Waldbott’s advice. Several weeks before his death he started using a “fluoride filter”. A subsequent check of the filter by a water engineer proved it had been ineffective. Extremely low calcium in the blood, plus stomach bleeding indicated acute fluoride poisoning. No other cause of death could be determined. There was no heart pathology, yet this was recorded by the Medical Examiner as the cause of death, simply because no explanation could be found. 1962. Bacchus Marsh, Australia. A 9 year old boy experienced gastric haemorrhages, requiring removal of a large portion of the stomach. After his return home he suffered another, requiring removal of part of the upper bowel. Several hours before the second incident he had taken a 1 milligram fluoride tablet. Victoria, Australia. The Hamer Commission of Inquiry 1979. 100 statutory declarations, some with doctor’s certificates re hypersensitivity. All stated the symptoms cleared up upon using distilled water for drinking and cooking. The Commission never called in for medical testing. One woman was just out of Melbourne public hospital and had been given a wristband warning nurses not to give fluoridated water to the patient. Evidence was given that doctors had no hesitation in ordering unfluoridated water to be supplied from the dispensary for that purpose.